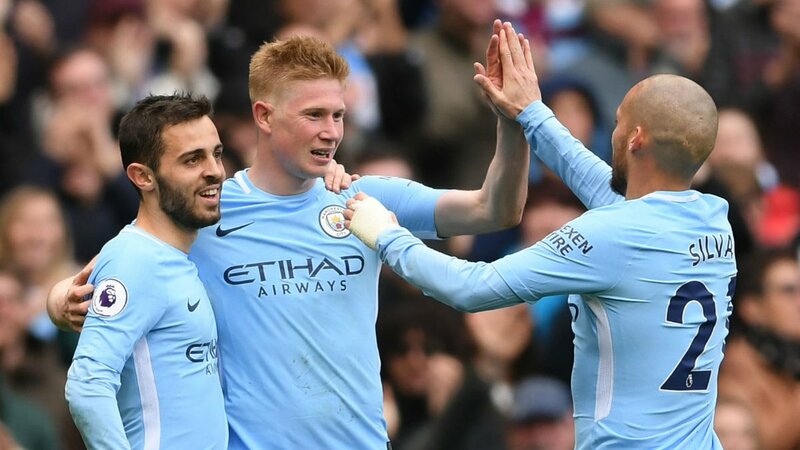 Manchester City are reportedly set to give their squad’s fringe players a couple of opportunities in a busy week for the defending Premier League champions. MCFC fabio lucio, gabriel jesus, higor braga. ‘Out of favour’ Manchester City Midfielder, Samir Nasri has signed a two-year contract for a fee which could see an exponential rise to 3.5m euros(£3.2m)for Turkish professional football club side, Antalyaspor in the Turkish Super Lig. The France international ends his six-year spell at the Etihad; the midfielder having won two Premier League titles and two League cups since he moved from the North London Side in 2011. He primarily plays as an attacking midfielder and a winger, although he has also been deployed in centralmidfield in recent times. The 30 year old midfielder struggled for first team action in recent years and was loaned out to La Liga outfit Sevilla for an undisclosed amount, following the arrival of Pep Guardiola to the Etihad. 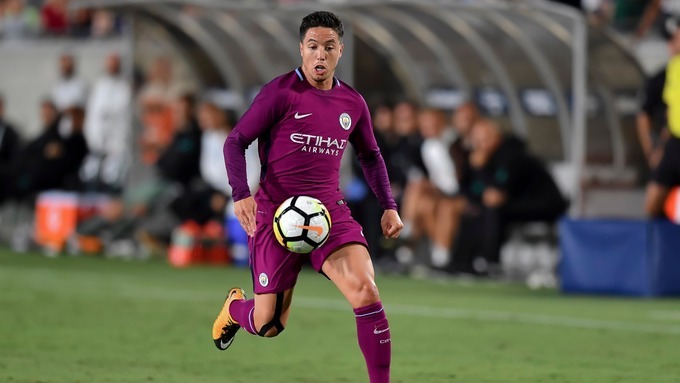 Nasri got a nod this summer after his spell in Sevilla netting three goals in 3o appearances and was a surprise inclusion on City’s pre-season’s tour of the United States. He now joins the likes of Manchester City players [Gael Clichy and Fernando] who have sign for different Professional Turkish League outfits. MCFC City, GOAL, Manchester, MCFC. Bernado Silva, Ederson, Mendy and many more names have been associated with Manchester City in recent weeks. With Silva and Ederson already confirmed, many more names are set to be stamped on the first team of the Citizens sooner than later. After undergoing an underwhelming season, the recent wave of talents being directed towards the famed noisy neighbours portrays determined statement of intent on getting back to the level they were when Roberto Mancini led them to their first Premier League trophy 5 years ago. Of course it is an open secret that PepGuardiola’s being at the helm of affairs is playing a big factor in this monstrous spending spree they seem set to carry on throughout the coming transfer window. When you have a coach like the Spaniard in charge of your club granting his signing wishes is hardly a big deal. Manchester United legend Gary Neville has selected his best XI in a Man City jersey. The Premier League retired star, who played for almost two decades, named the players from his experience. The Pundit named English keeper Joe Hart as his best City shot stopper. In defence, he named Vincent Kompany. He said the Belgian skipper at his peak was one of the best in the league’s history. In the right back role, he named Pablo Zabaleta. To complete the backline, he listed JoleonLescott and Gael Clichy. In the battle for the midfield slots, Ivorian Yaya Toure won it. Neville rated Toure in his prime alongside greats as Patrick Vieira, Steven Gerrard and Frank Lampard. He paired Toure with Fernandinho. In the wide positions, Neville named David Silva and Kevin De Bruyne. The FA cup semi final draw is out. Manchester City are set to play Arsenal while Chelsea would face Tottenham Hotspurs in the last four. The dates for the games are 22nd and 23rd of next month. It would be Arsenal’s record 29th FA Cup semi final but they face a tough clash against Pep Guardiola’s men. Chelsea fought Manchester United en route to making the last four of the tournament, defeating them 1-0 courtesy of N’Golo Kante. Spurs thrashed Milwall 6-0 on Sunday to set-up the meeting against the Premier League leaders. Arsenal – champions in 2014 and 2015 – completed a 5-0 rout over non-League giant killers Lincoln City at the Emirates on Saturday. Manchester City would be in the semi final of the tournament for the first time in four years. They defeated Middlesbrough 2-0 to qualify. 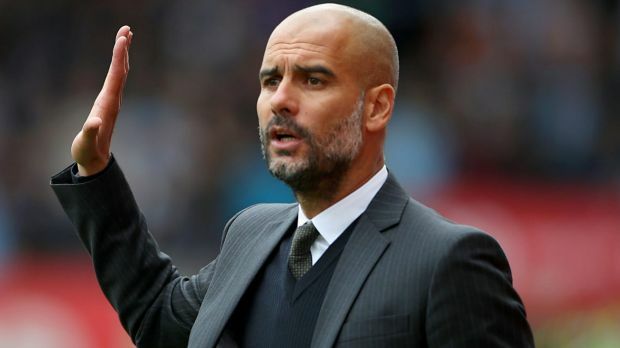 Manchester City manager Pep Guardiola says latest setbacks experienced by his team – most recently the 4-2 mauling by Leicester City will not force him to change his on-pitch philosophy. The Citizens are not having the best of times in this season’s league campaign as they have won only one game in their last five fixtures despite making an impressive start to the season that saw them sprint to the top of the EPL standings. Saturday brought another reminder of the need for fans and soccer purists to back down a bit and lower the pedestal they might have placed the former Bayern Munich coach. MCFC Balotelli, City, Football, Manchester, MCFC. In the past, the EFL Cup – or the League Cup as it is widely known – was not treated with a lot of importance by managers of top clubs. The competition was seen as not worthy of the time and effort, but this attitude has certainly changed in the last couple of years. José Mourinho is probably the first manager to consider the League Cup seriously. The Portuguese saw this as a great opportunity to infuse confidence within the team, as the title is handed out midway through the season. Manchester City have once again been given a very tough draw as far as the Champions League is concerned. The blues have been drawn against Barcelona for yet another campaign. In the past, they have struggled to get the better against the Spanish club largely because of the huge gulf in quality. After the arrival of former Barcelona manager Pep Guardiola, it has been suggested that the English club is now more capable of taking on the illustrious Spanish club. Guardiola, though, has downplayed the English team’s quality as he still believes that Barcelona are the superior team. Despite having won almost 15 titles with Barcelona, the former club captain believes that Luis Enrique been doing a great job at the Camp Nou. City are now favourites to qualify from the group stages as the runners-up and not as the winners. This would affect them severely when it comes to the draw for the last 16 knockout stages. 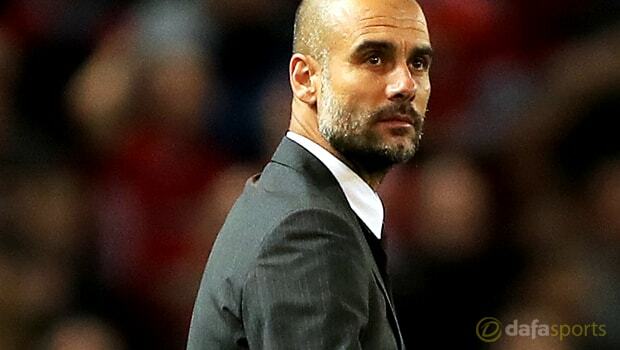 After having failed to win the Champions League title with Bayern Munich, one of the biggest challenges for Guardiola will be to win the European title with City. The team came close to achieving Europe including last season after featuring in the semi-final against eventual winners Real Madrid.